Why worry about shoveling your walk and drive when you can have Green Touch Landscaping come in and do it for you? Why worry about the safety and liability of your commercial or industrial property, when we are fully insured, and experienced in handling large sites? When the snow falls, Green Touch Landscaping launches into action, using high quality sweepers and blowers to clear your walks and driveway. 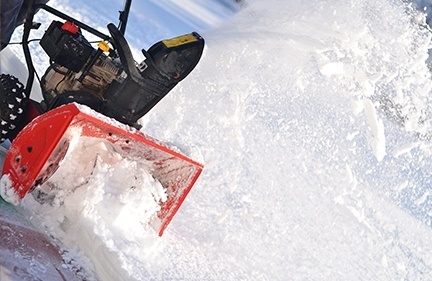 If it’s a commercial site, we have all the equipment necessary to clear large lots swiftly and truck away the snow. We can’t make winter disappear, but we can take away the stress of winter property management!